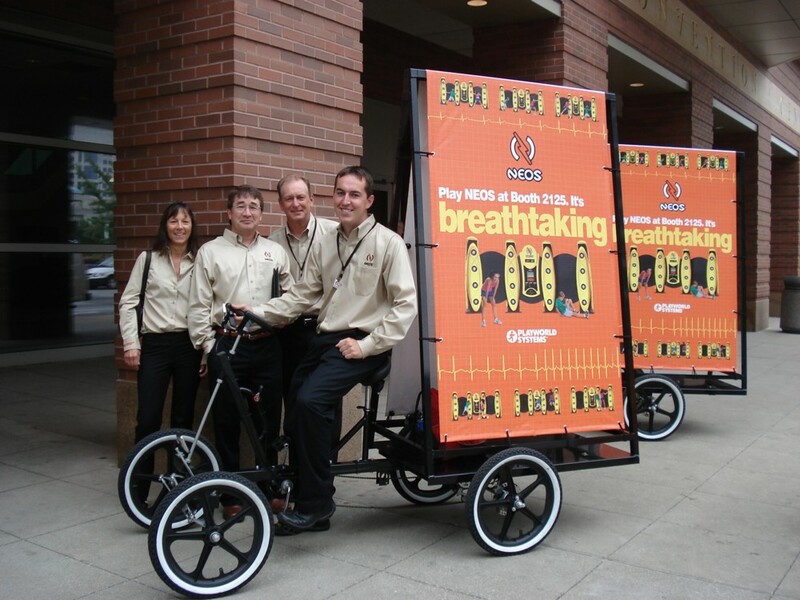 Attract attention all through town with your banners on up to four ad bikes. 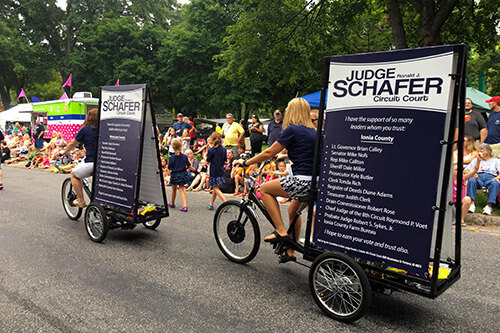 The cargo area between the banners allows you to carry flyers and promotional products to hand out along the way. The perfect way to promote your new product at street level and in specific areas. Cargo area in the back allows riders to hand out product samples in your target area. Spread the word about your new business or coming event. Use your own employees on up to four bikes to further your brand, products or services.